Pump up your routine with this decadent energy snack. 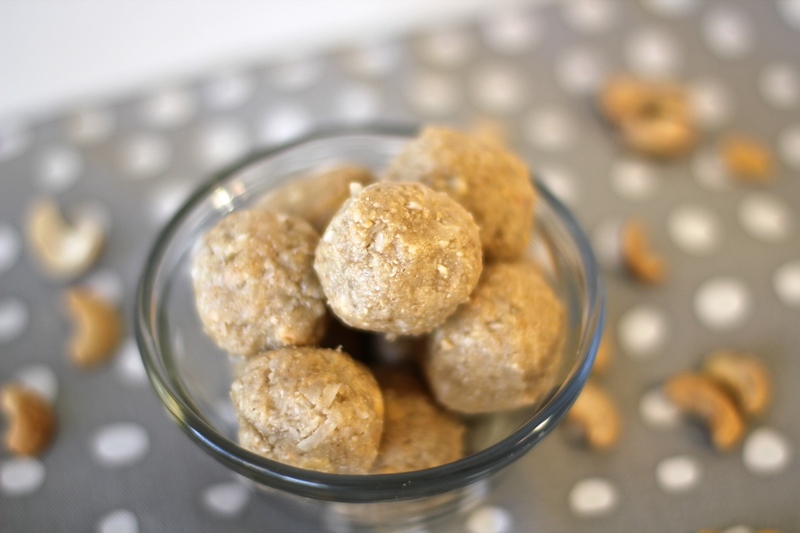 These coconut cashew chews are a simple and scrumptious nom on the go. I ascribe to the philosophy of “less is more” in pretty much all areas of life: interior design, speeches, blog posts (ha! ), and definitely snacks. I love recipes that are easy and incorporate ingredients I already have on hand. These were my thoughts when I was creating these coconut cashew chews. I didn’t have to go on any extra grocery trips to make these and I am so happy with the end result! These noms are my new snacking sensation- Hope you enjoy! Blend the cashews and coconut oil in a food processor or high-speed blender. Blend until a coarse ‘butter’ forms. In a mixing bowl, place the newly formed cashew-coconut butter. Add the shredded coconut and agave- mix thoroughly. 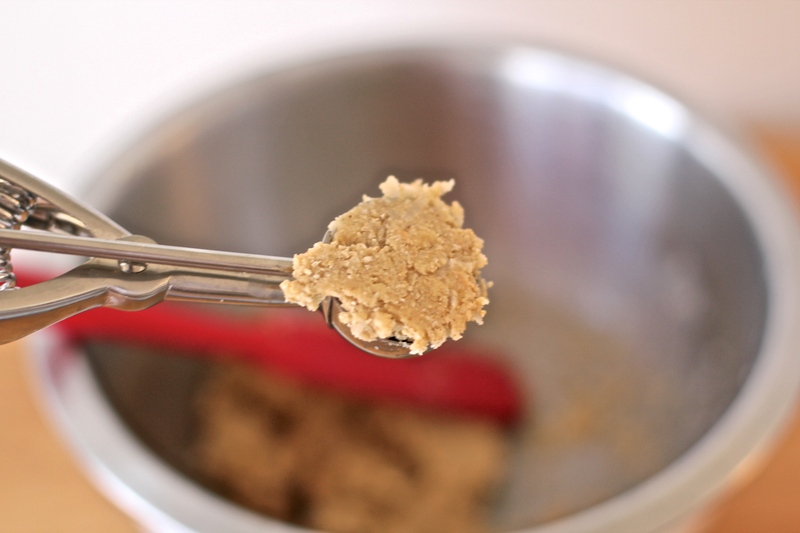 Add the oat flour (1/2 cup oats ground into a flour using a blender) to the mixture and mix until well combined. You may need to use your hands! 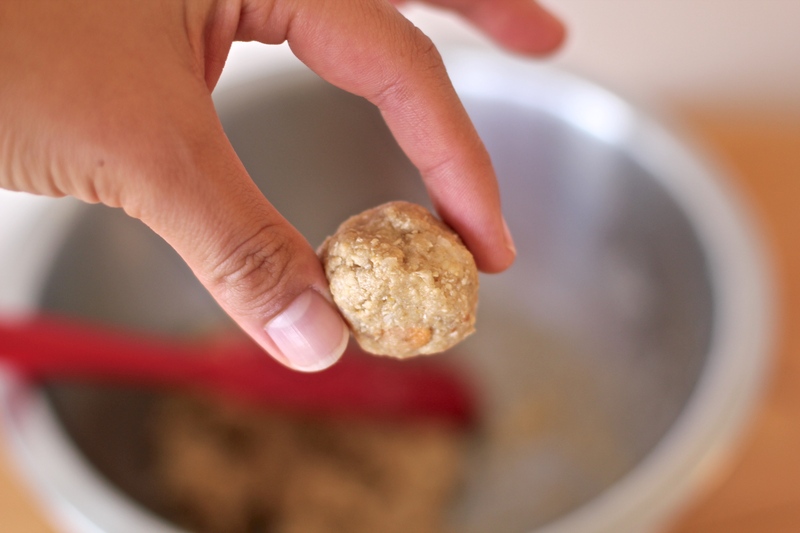 Using a one-inch scoop (or your hands will work just fine!) take the dough and form bite-size balls. You can indulge immediately or freeze for later. 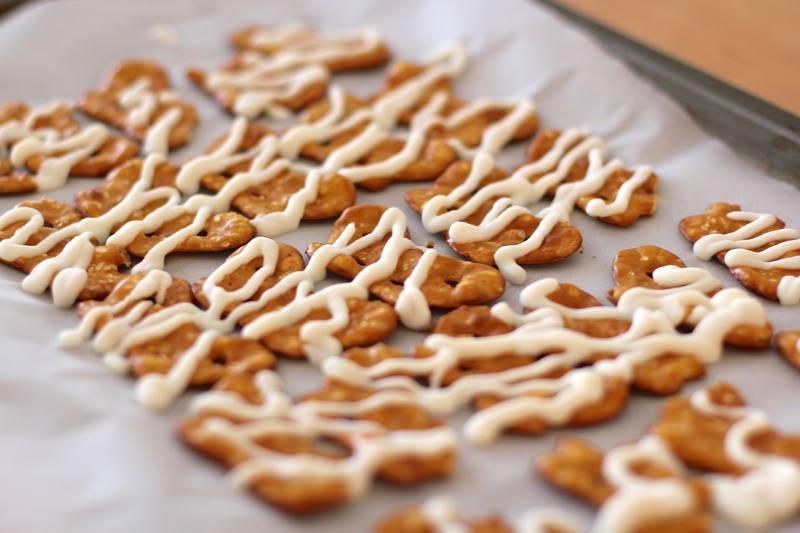 True homemade yogurt covered pretzels. Try out this sweet and salty delight! 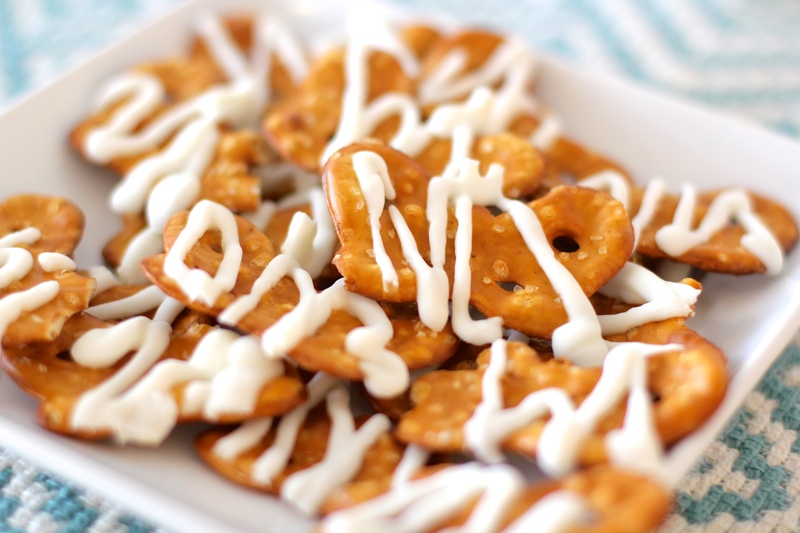 I enjoy munching on yogurt-covered pretzels found at local grocery stores. However, they seem to have lots of sugar and other unpronunciable ingredients. This is why I have attempted to create a homemade yogurt covered pretzel recipe that is straightforward and good for you. 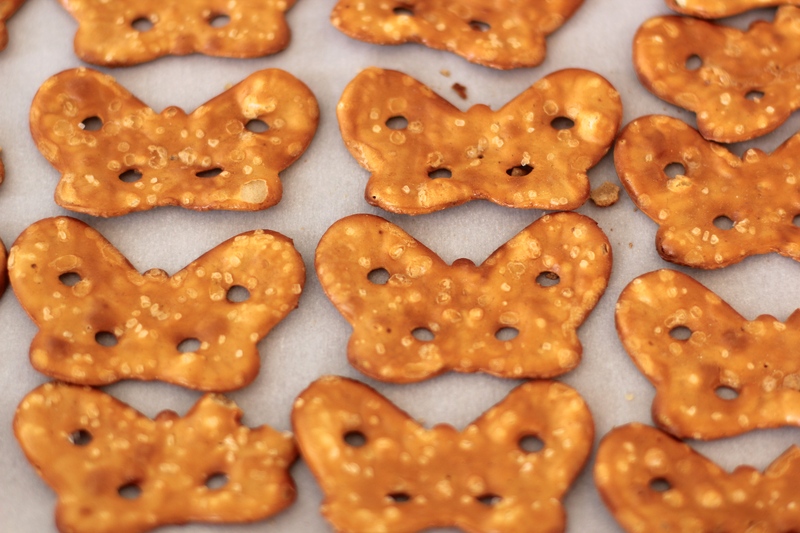 These pretzels are a great “nom nom” and the possibilities are endless! I add honey to my greek yogurt, however feel free to use your creativity! (And I would love to hear your ideas and experiments!) I think adding berries would add a nice pop of color to the coating. I will have to try that next time. Also, I am dabbling with the idea of adding video tutorials to accompany some of my recipes. Here is my first one- I would love to know what you guys think! Enjoy! Line a tray with parchment paper. Then lay out the pretzels evenly on top. In a small bowl, mix 2/3 cup yogurt with the honey until evenly combined. Then, spoon the yogurt mixture into a sealable ziploc bag. Cut off one of the bottom corners of the ziploc bag. Be sure to make a very small cut. 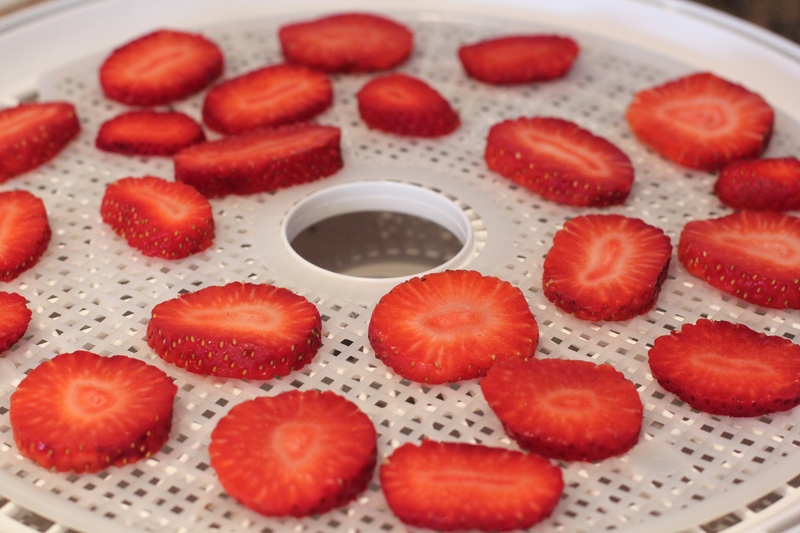 This will allow the yogurt to drizzle out nicely. 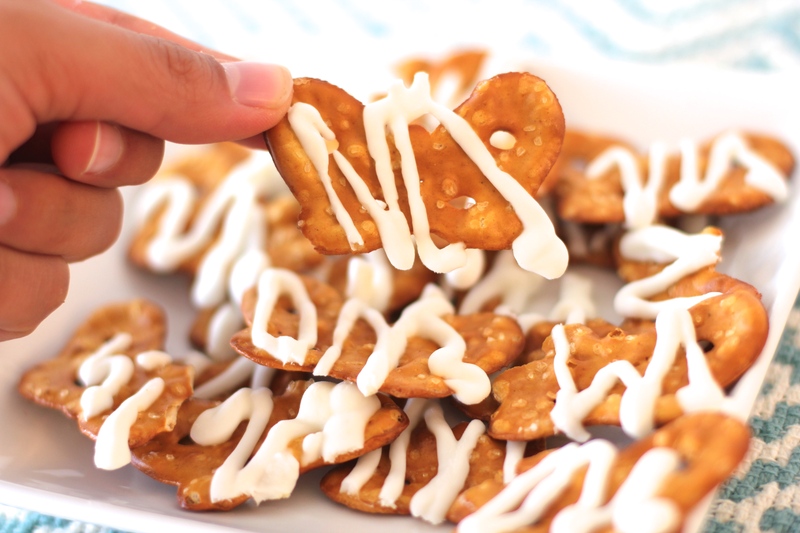 Slowly drizzle the yogurt across each pretzel. Place in the freezer. 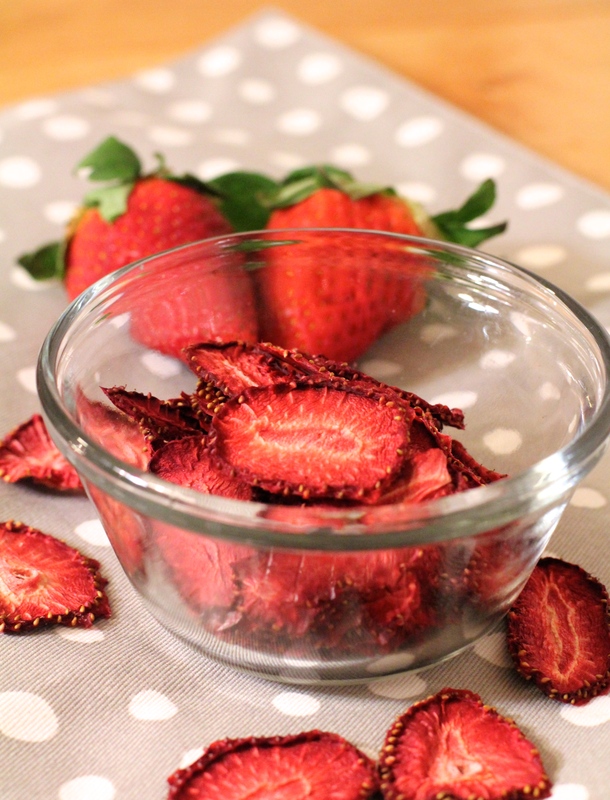 Freeze for at least one hour. 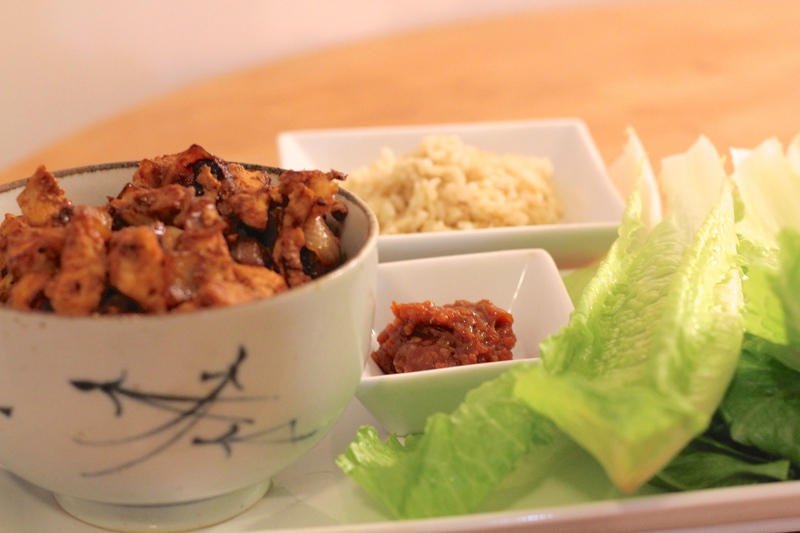 Stuff your mouth with some of my Korean-style chicken lettuce wraps. I offer you my healthy take on a traditional Korean BBQ favorite. Korean food is more than just eating dinner- it is a communal experience. I cannot count how many times I went out to eat Korean BBQ with various friends in Seoul. The only downside for me was that I don’t eat red meat, and Korean BBQ is always pork or beef. This motivated me to create a lettuce wrap recipe that involved chicken. And my mission was a success! These wraps are absolutely divine! I melt every time I get to eat this for dinner. If you are new to Korean cuisine, I encourage you to give this recipe a go! 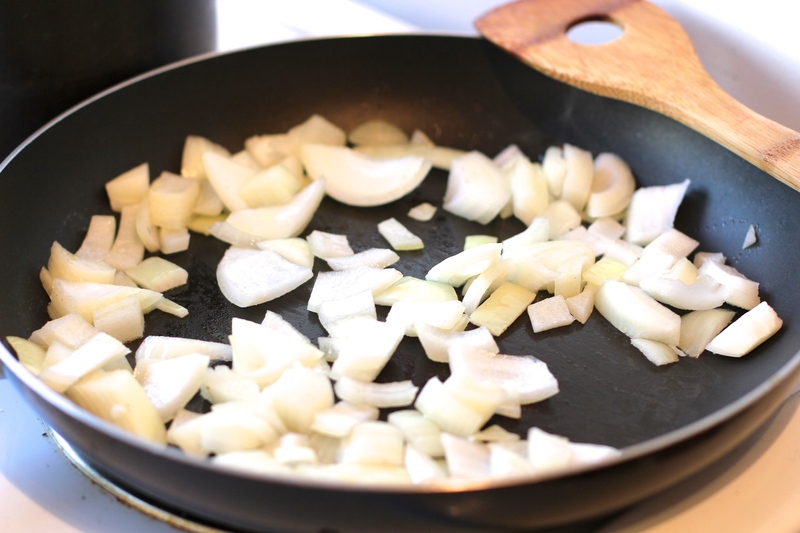 In a large skillet, saute the onions (with olive oil) on low-medium heat. Cook for 3-4 minutes. 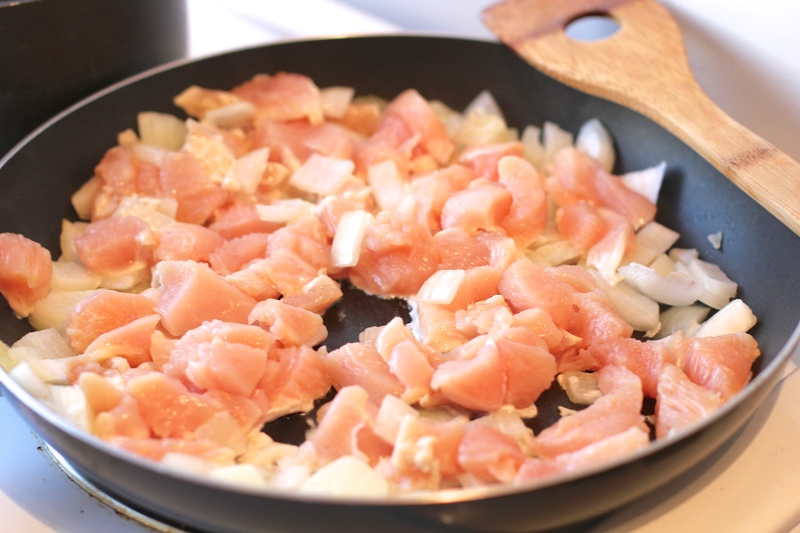 Chop the chicken breasts into bite size pieces. Add to the skillet and cook for about 5 minutes on medium heat. Salt and pepper to taste. 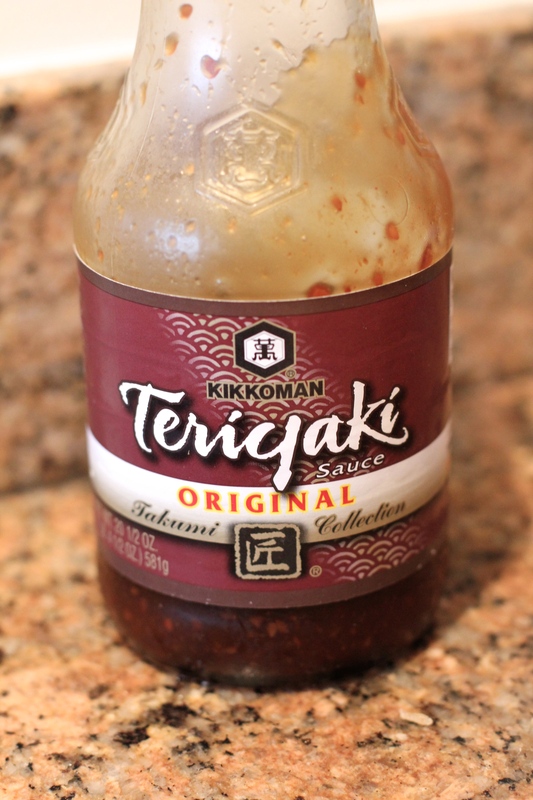 Add the teriyaki sauce and gochujang. 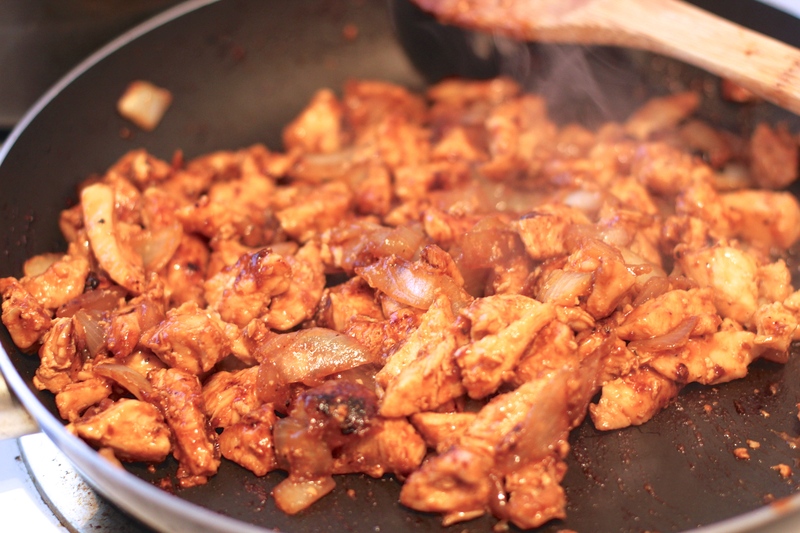 Stir until the sauces are evenly distributed on all chicken pieces. Cook on medium heat for about 5 minutes. Then, turn the stove heat to high. 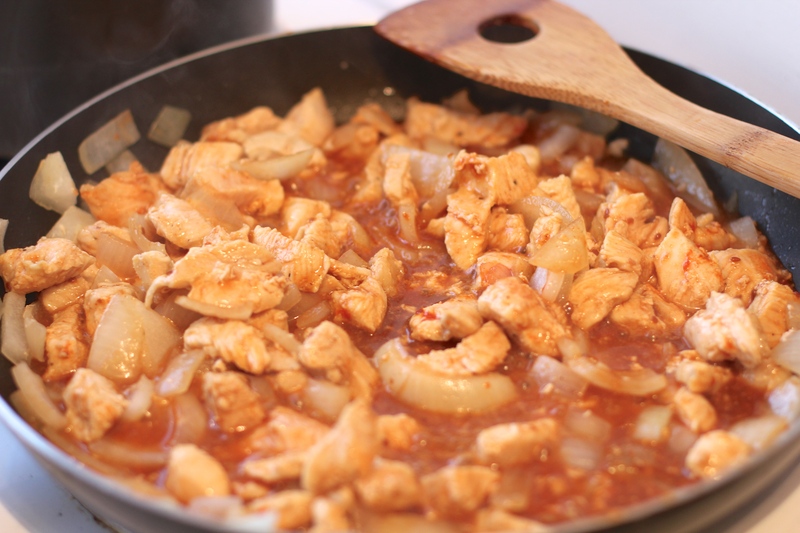 Cook until the liquids are cooked out and the chicken begins to nicely caramelize. (About 10 minutes). Assemble and eat with your hands! Take a piece of lettuce (about 1/3 of a leaf). Place on the lettuce leaf about 1/2 Tbsp. rice, piece of chicken, and some Ssamjang paste. Wrap the lettuce around the contents. Then, proceed to stuff into your mouth. 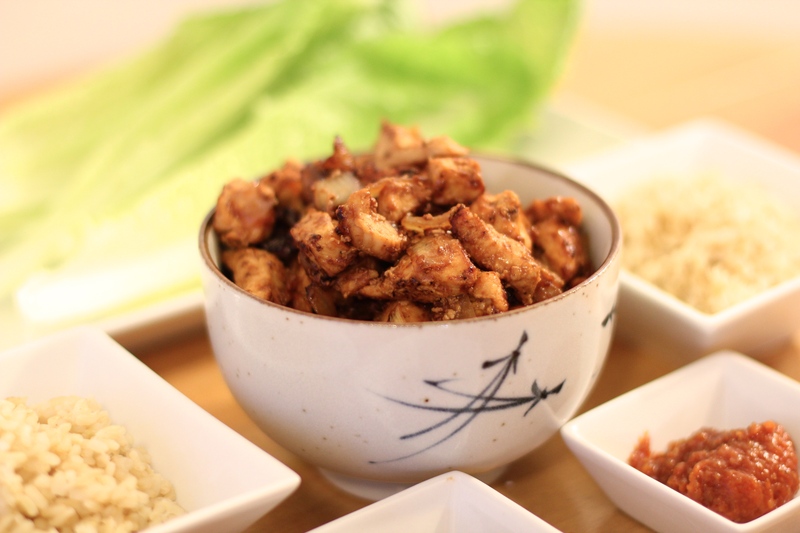 You of course can add more of less rice, chicken, or Ssamjang paste onto the lettuce wraps. You will learn what you want more or less of in each bite. Ssamjang is one of my favorite foods! When I lived in Korea, my language skills were pretty novice. However, you bet I knew how to ask “쌈장 더 주세요?” (‘Can I please have more Ssamjang?’) at the restaurants. I crave this stuff. 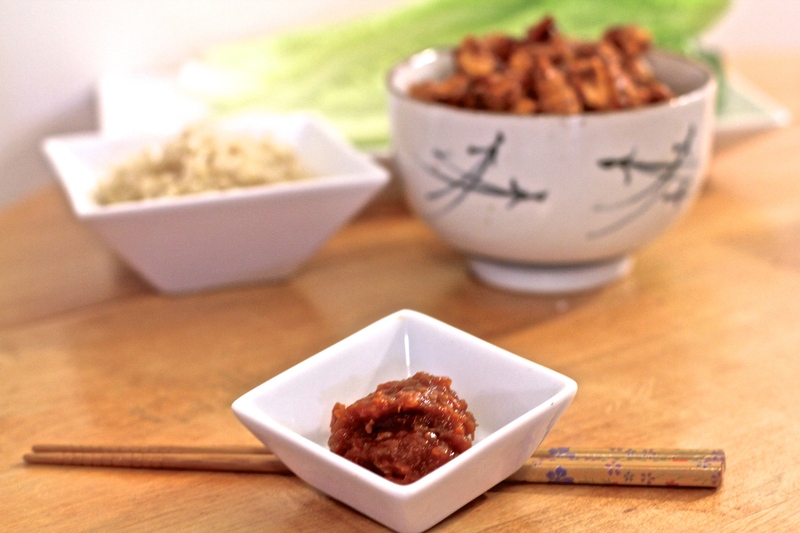 If you make my Korean lettuce wraps, you really need Ssamjang. It adds so much flavor and texture. 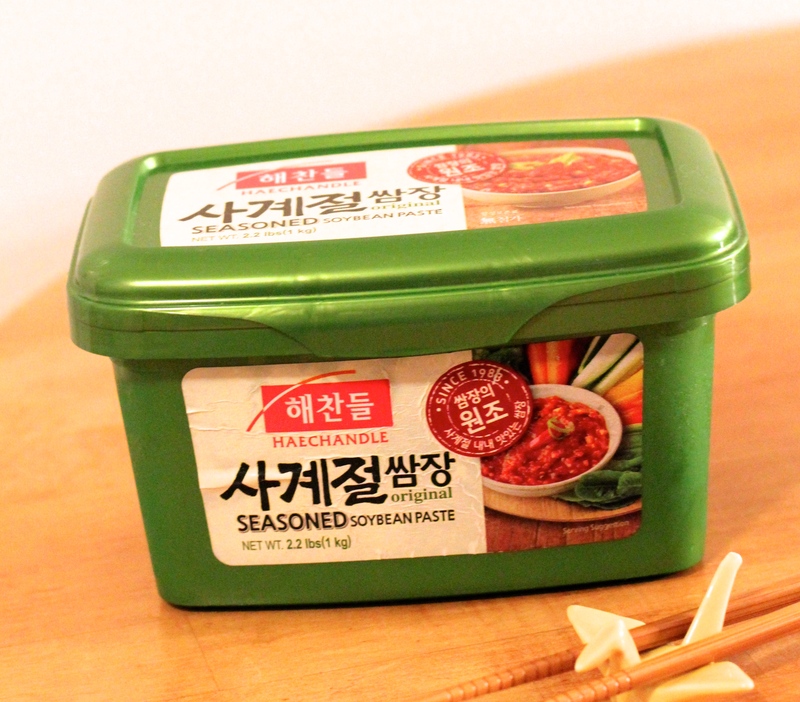 I never use Ssamjang to cook things, but use it often (probably too much!) on the side as a dip. You can find Ssamjang at any Korean mart. It always comes in the green container. Available in all sizes. 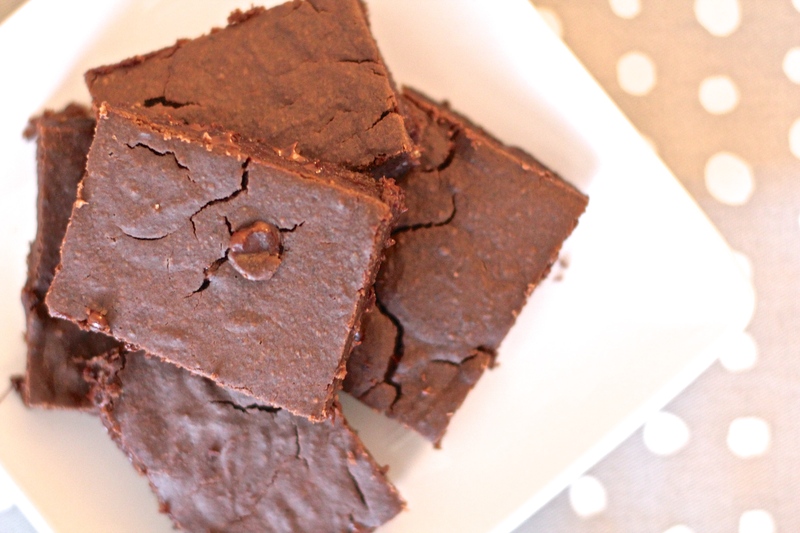 Beans, beans, the magical fruit- the more you eat the more you… get to make delicious brownies! 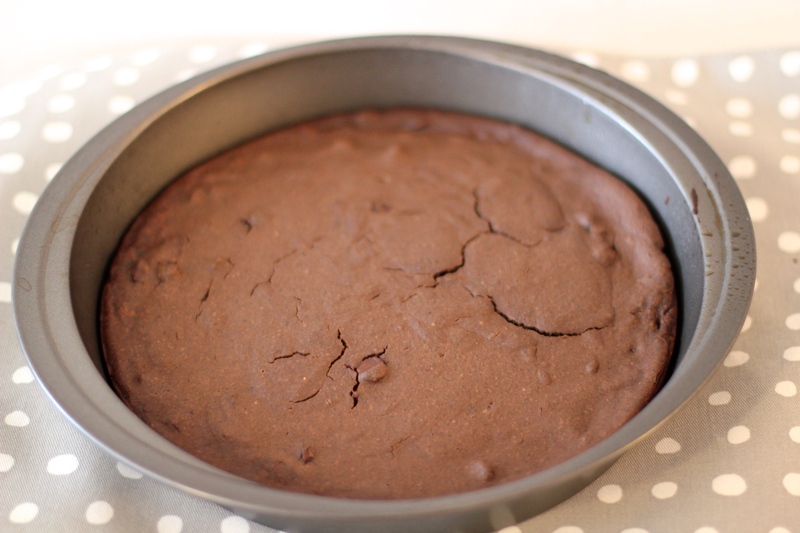 Presenting a moist and delectable brownie recipe that is vegan, flourless, and oozing with chocolate. I keep my eyes open for dessert recipes that are simple to make and light to indulge in. 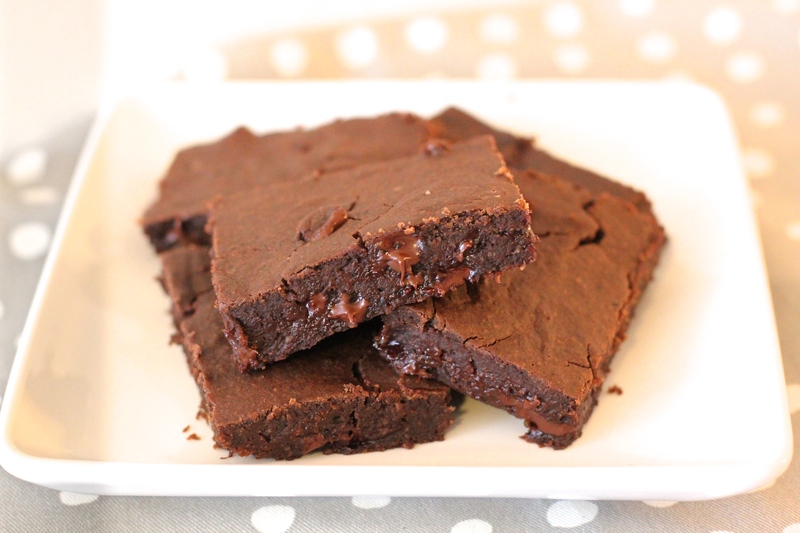 Black bean brownies are awesome because you can omit flour, butter, and other unwanted ingredients. As I was scouring through vegan black bean brownie recipes, the ingredients seemed too foreign to me. I bet some are not even available in Hawaii (okay, I might be exaggerating, but Hawaii does get the short end of the stick sometimes). Finally, I came across what looked like the perfect recipe. I found it on Chocolate-Covered Katie’s healthy dessert blog (link at end of recipe). I love it because the brownies are moist and not overpoweringly sweet or rich. The ingredients and method couldn’t be more straightforward. I hope you enjoy my slightly modified version of the recipe. 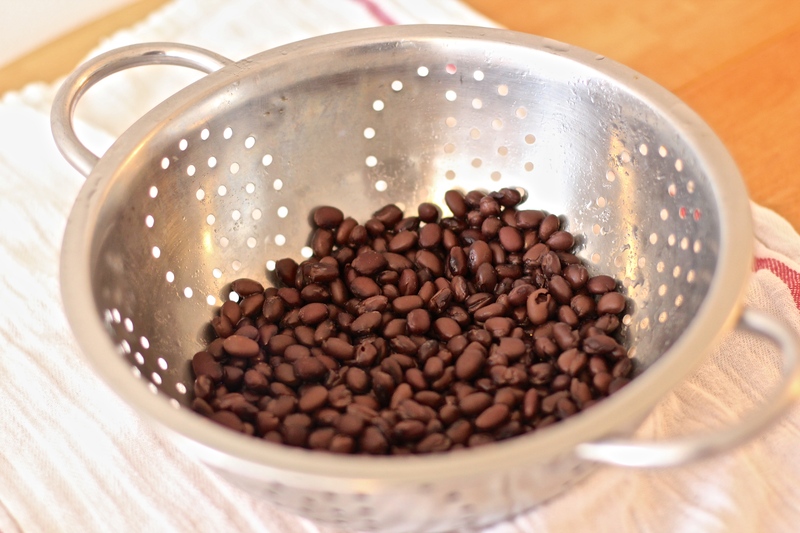 In a food processor or high-power blender, combine all ingredients except the chocolate chips. Blend thoroughly until the mixture is well combined. When done blending, stir in the chocolate chips. Spray a baking pan with non-stick cooking spray (typically an 8×8 pan, but I used a round cake pan). Cook the brownies in the oven for 15-18 minutes (until firm). Remove from the oven and allow to cool for at least 10 minutes. You can see the original recipe here from Chocolate-Covered Katie’s blog. 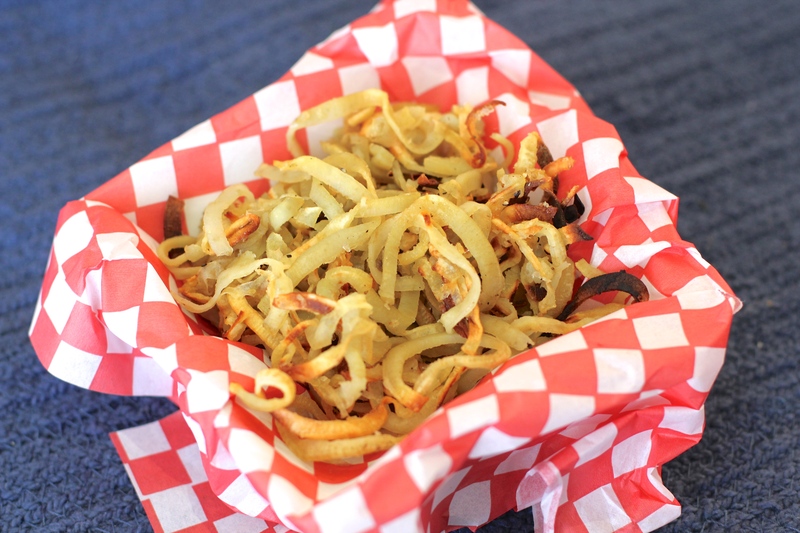 Satisfy your “salt” tooth with curly fries. Baked in an oven, these are a healthy and easy way to prepare sweet potatoes and satisfy that munchie bug! Before you start visualizing deep fat-fried, crispy curly fries, keep in mind that these fries are baked to retain the natural goodness of the sweet potato. Therefore, they’re cut curly but not so crisp if you were to bread and fry them. 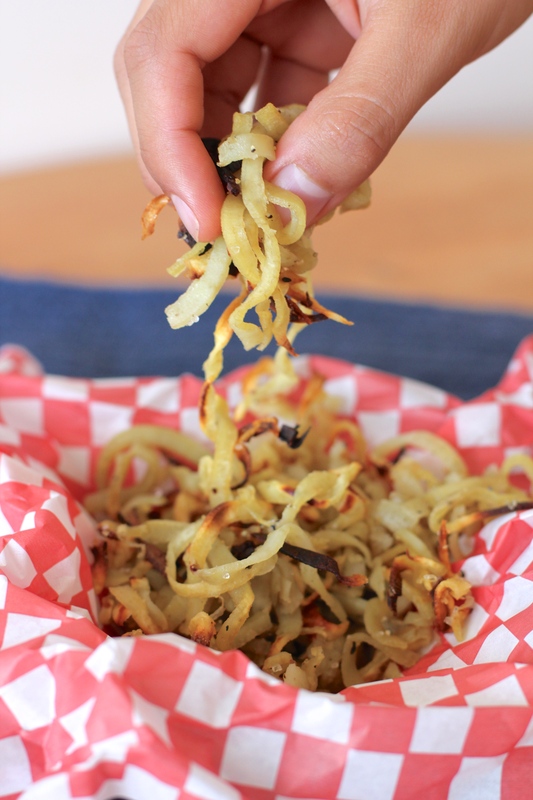 These sweet potato curly fries are as simple as it gets. You could try adding garlic, chili powder, or other spices to mix up the flavors though. Kick back and relax with some curly fries- you deserve it. Peel the skin off of the potato. 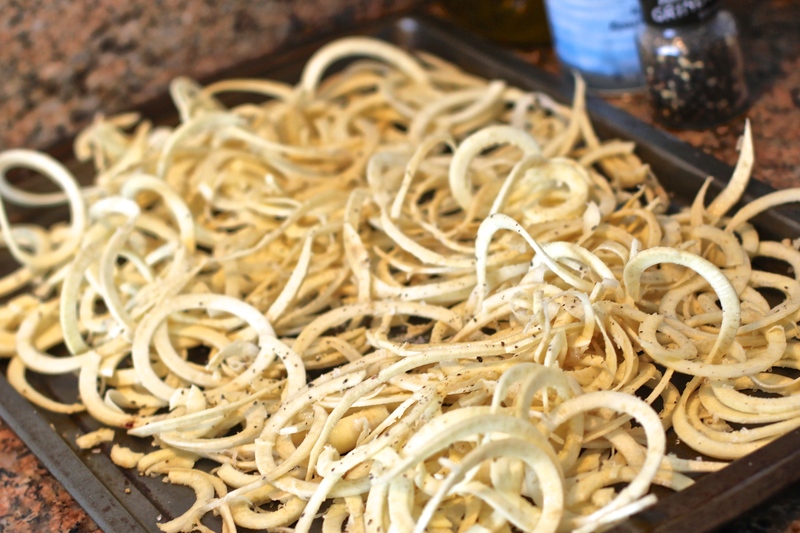 Use a spiralizer tool (see basic zoodles recipe for further spiralizer details) to shape the potato into “curly fry” shape. 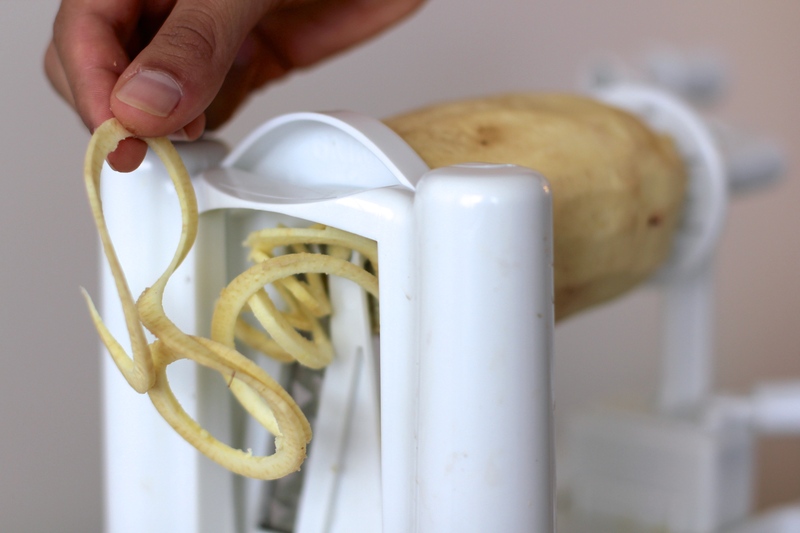 Use the largest attachment on the spiralizer. Place the curly fries onto a baking sheet. Drizzle with about 2 tsp. olive oil. Using your hands, mix the fries to ensure they are all coated with the oil. Generously sprinkle with sea salt and pepper.